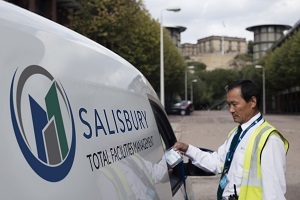 Salisbury Group has announced that it has been appointed to the UK government’s new RM3830 Facilities Management (FM) Marketplace Framework Contract. In a competitive tender led by the Crown Commercial Service, Salisbury Workplace Services – part of the wider Salisbury Group – was awarded a place on both lots 1b and 1c. This means that it will be able to tender for the largest national FM contracts with total values of at least £7m. With over five years of direct service delivery to a range of government departments and non-departmental bodies, Salisbury Group will seek to leverage its strong track record and service capabilities to win additional contracts in a new era of public sector FM contracting. Tender opportunities through the new framework are expected to commence this year. Ed Swales, CEO of Salisbury Group, said: “We thank the Crown Commercial Service for appointing us to our preferred choices of the two largest lots. Salisbury Group has long-standing contracts to provide services to government departments across the UK. This has enabled us to develop in-depth experience and knowledge of working in partnership with the public sector.